A major theme in this week’s Geology lectures has been sedimentology and river systems. 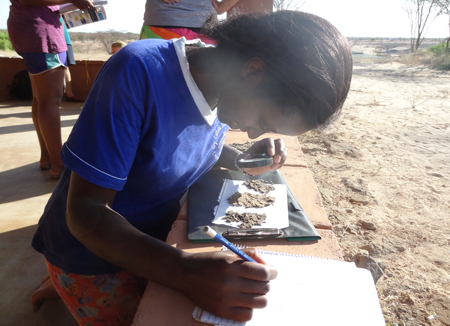 For their lab practical, the students collected and analyzed sediment samples from different sites of the Turkwel River. By applying a depositional model, the students hypothesized about the river’s flow history. This semester’s first overnight field excursion was to Lothagam. The first day at Lothagam included a visit to a pillar-cairn site which is currently under archaeological investigation. 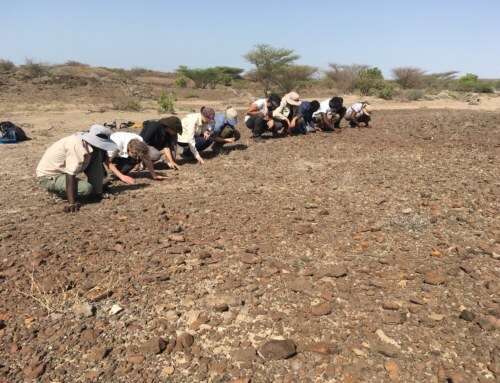 Students searched the cairn trying to identify pottery sherds, stone tools and other artifacts. 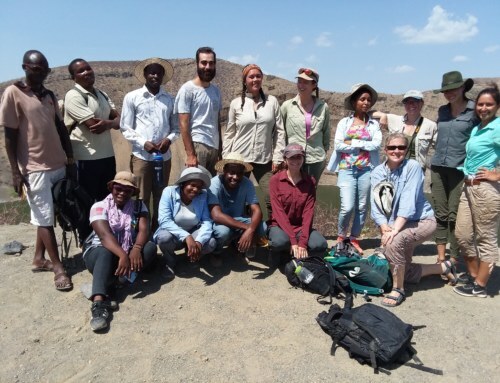 Along the trail back to camp, the group identified fossil turtles, crocodiles, hippos, camels and primates. 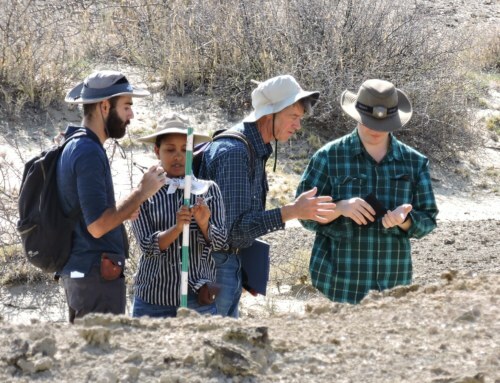 On the second day, the group hiked about 10 kilometers across Lothagam’s diversity of geologic landscapes observing flood basalts, sandstone laminations and sand dunes along the way. 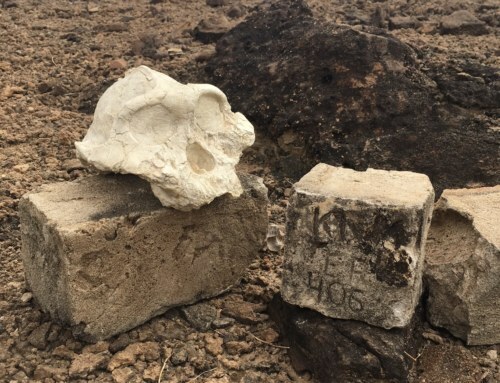 Some highlights include discovery of a fossil elephant and identification of several bi-face stone tools. Geology, paleontology and archaeology all culminate at Lothagam. 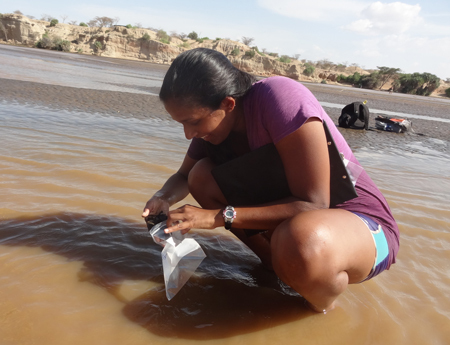 GEO303 – Vaishnavi samples sediment from the Turkwel River. 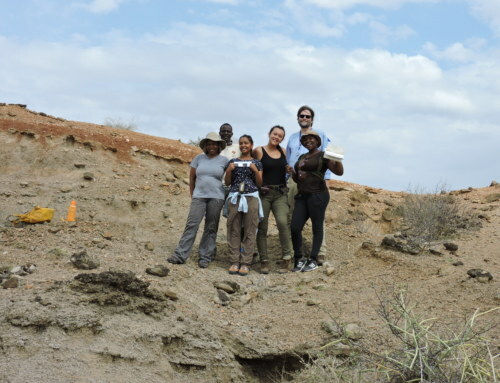 GEO303 – Lucy analyzes and describes sediments from various sites in the Turkwel River. 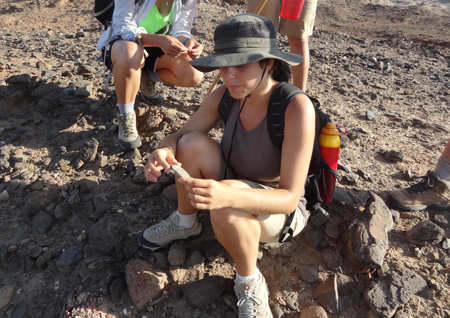 GEO303 – Kristle finds a fossilized turtle carapace at Lothagam. 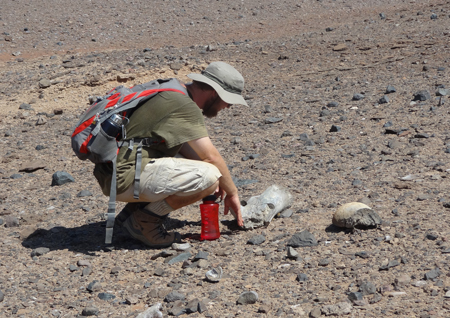 GEO303 – Patrick studies a fossilized elephant at Lothagam. 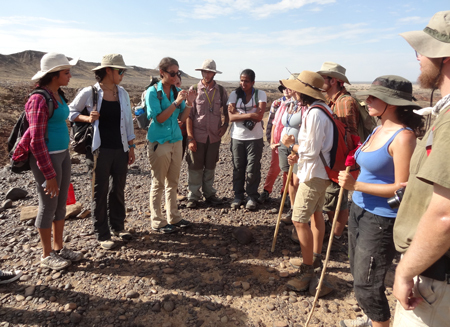 GEO303 – Andrea explains recent archaeological work at a pillar-cairn site at Lothagam. 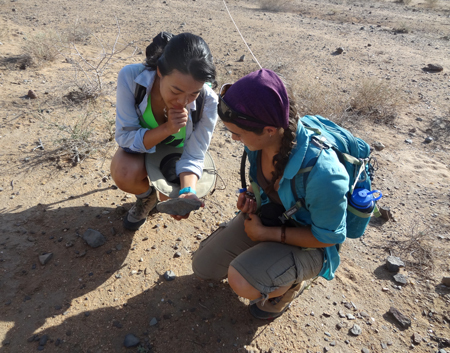 GEO303 – Lorraine and Luisa find a bifaced stone tool at Lothagam. 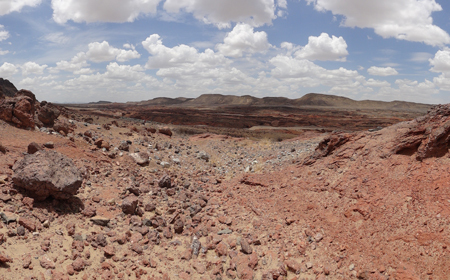 GEO303 – One of the many geologic landscapes at Lothagam. Steven Heritage earned his Baccalaureate at the University of Hawai'i double majoring in biology and anthropology. He is currently a PhD student at Stony Brook University where he serves as a graduate instructor of human anatomy. He is also a Turkana Basin Institute fellow and the graduate representative for MorphoBank. Steven's dissertation research focuses on the phylogenetic biology and comparative anatomy of Afrotherian mammals and their Paleogene fossil record.